In pursuit of the rare – Leigh Reyes. My Life As a Verb. 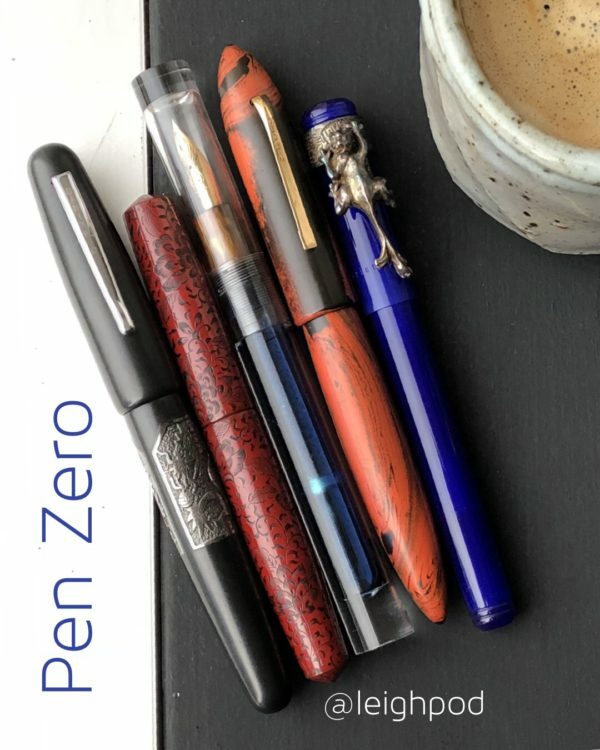 Beyond a certain optimum utility (writes and draws as it should, doesn’t give its user problems like burping or skipping, handles well, carries well, ages well), a pen becomes a pursuit. And the price of that pursuit is higher than most sane people are willing to spend on what is essentially an object that makes marks on other objects. 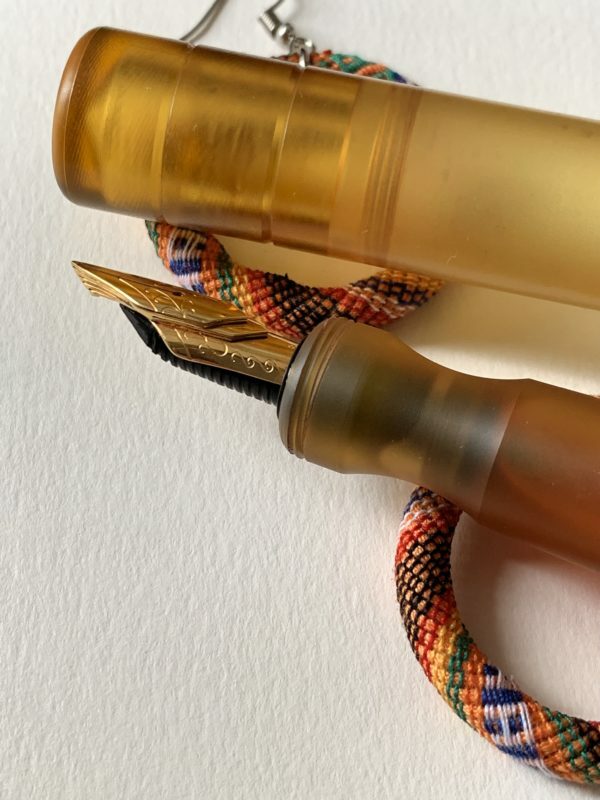 Marketing scarcity aside – limited and special editions being the particular carrot of this category – there are pens that are (to borrow from the Art Directors’ Club Cubes) rare for a reason. My first encounter with rarity? Vintage pens, of course. Like fossil fuels and my sense of humor, supply is finite and there’s less of it as we age. Rare doesn’t always mean expensive. 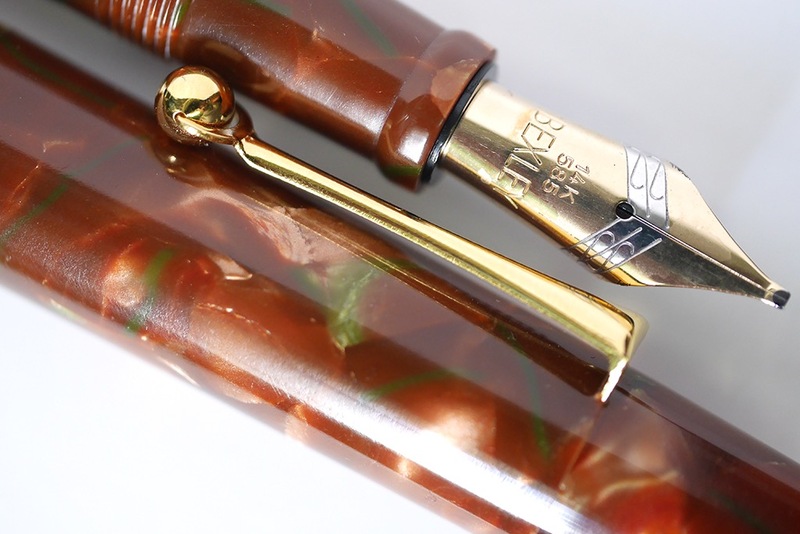 Many vintage pens simply need TLC, and can be had for less if bought unrestored. 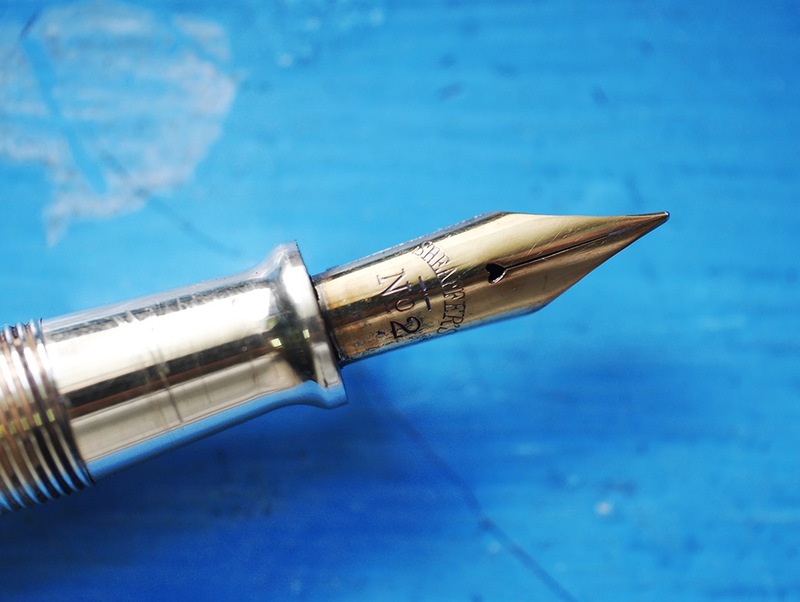 However, no matter how inexpensive, a vintage pen is irreplaceable. 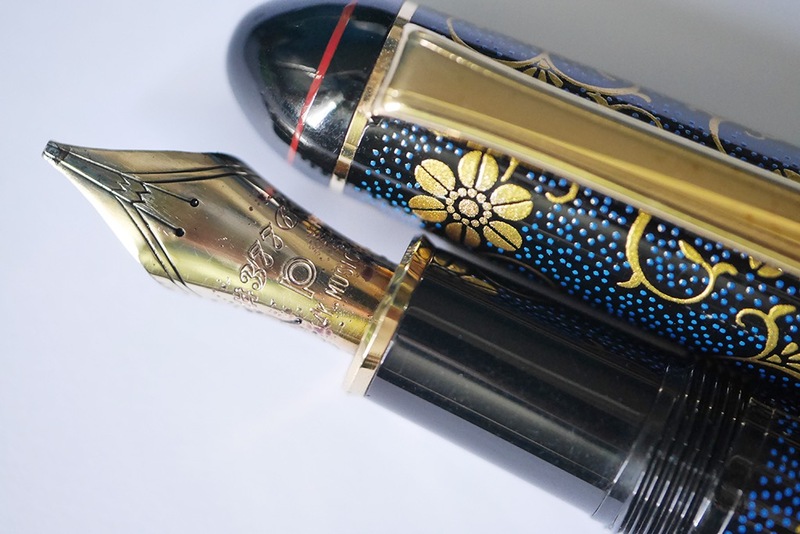 Every special, fanciful Sailor nib, from Cross Music Emperors to King Eagles, bore the signature of the late elder Nagahara, metaphorically. 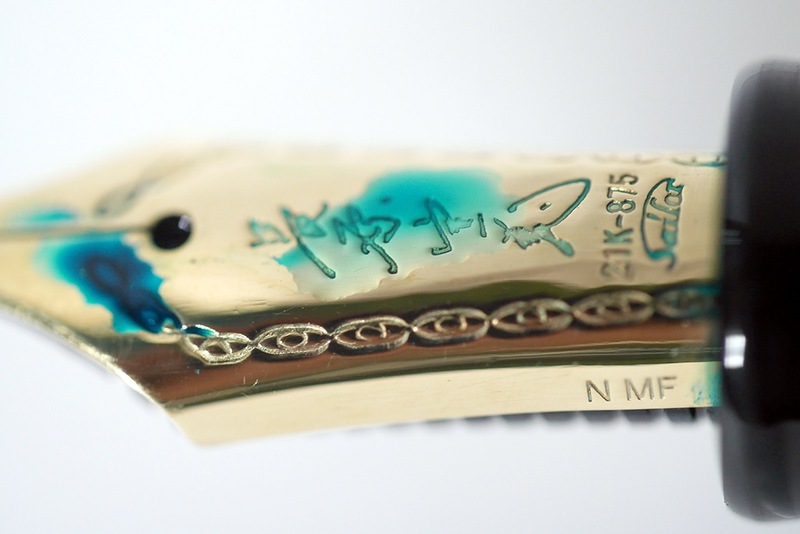 He commemorated his retirement with a pen on whose nib that signature was, at last, made visible. 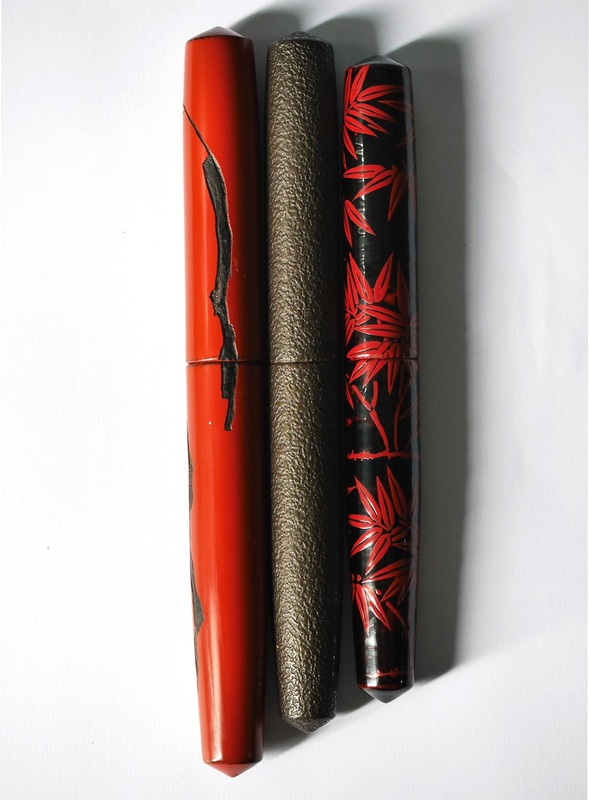 Another oddball, the Kamakura Pens General Grant. This was one of the test pens, and was not numbered, but instead has a red band on the cap. 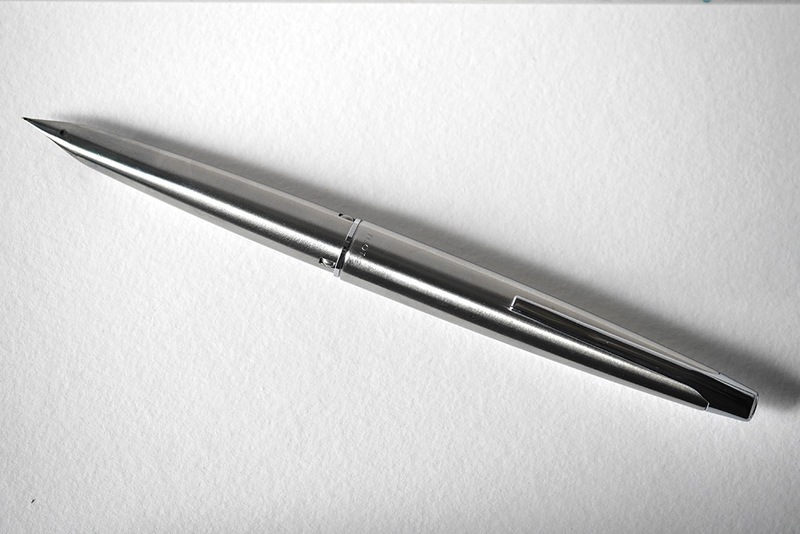 The base pen is the Platinum 3776. I would love to know where this pen’s siblings are. Provenance also plays a role in rarity. 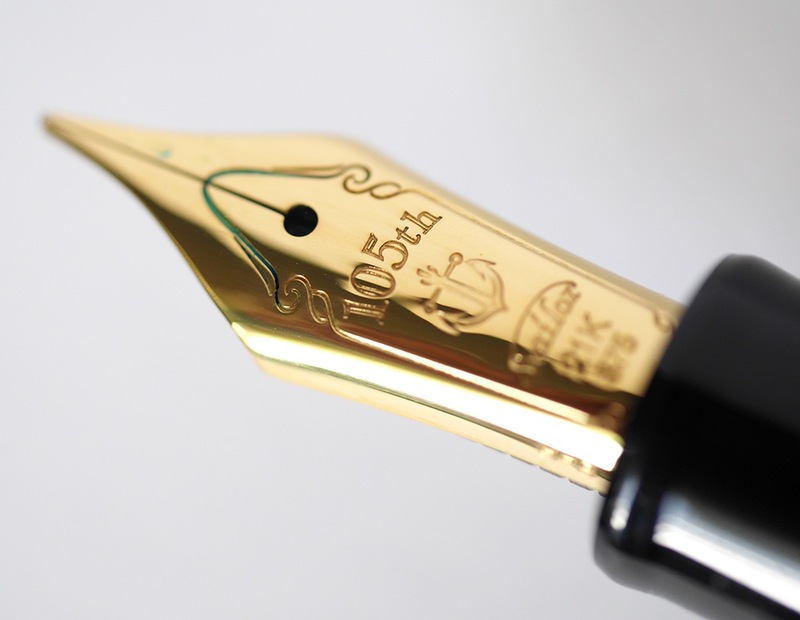 The same pen, once warmed in a friend’s hand or arriving wrapped in a bundle of stories, holds more significance than when it’s simply and easily bought. This Bexley is the same material as my long-departed Stipula Etruria Volterra, and the stub is a redux of the original stub on the Etruria. Friends who make things, and friends who go out of their way to find you things – they make things more than things. 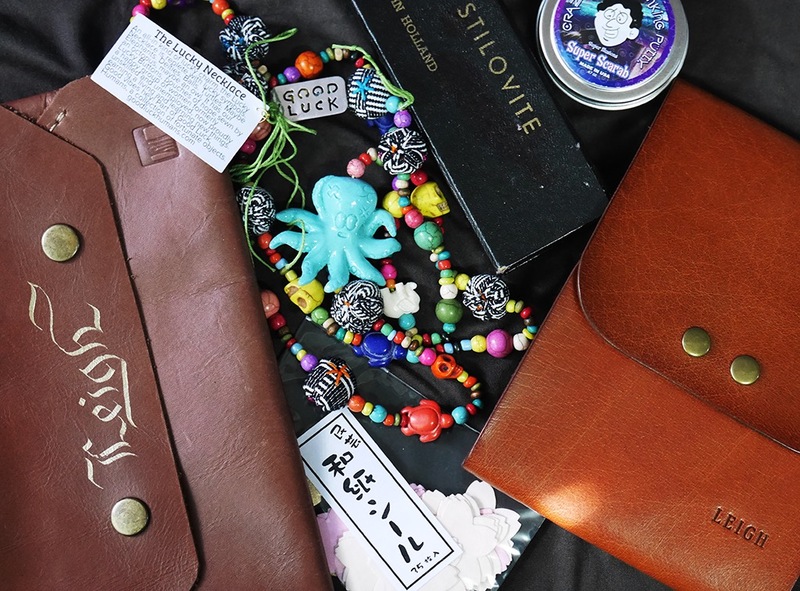 Talismans of friendship override konmari in my book. 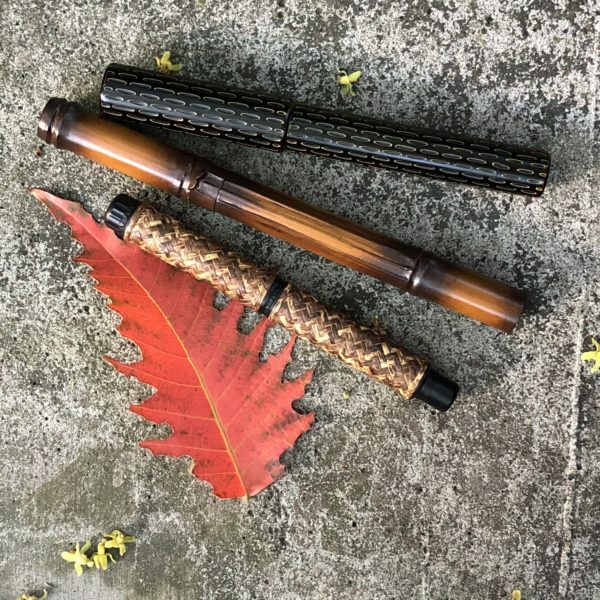 Joey Grasty of the Flexible Nib Factory experimented with feeds and cut Zebra G nibs for Pelikan M400s, and therefore gets filed under “friends who make things.” But honestly this could also be filed under “best use of badass CNC skills”. 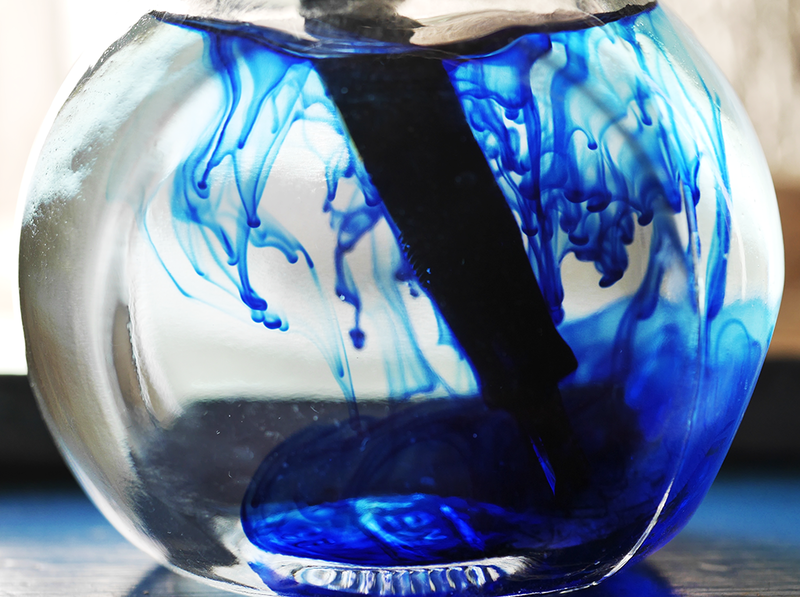 Limited edition inks trigger hoarding desires in many of us. 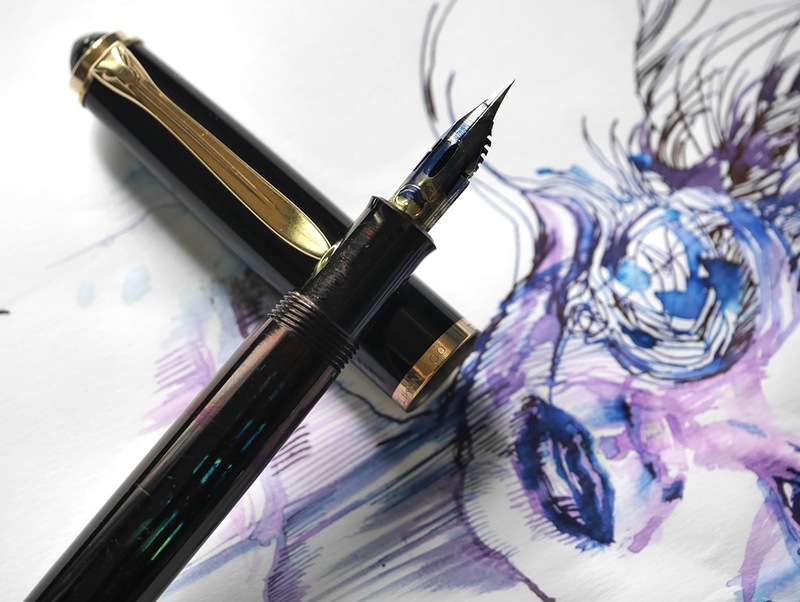 It was a pleasure to see a friend work with Diamine to bring a second exclusive ink to the Philippines. (The first was Dark Olive.) He kept asking, “Can’t you make it bluer?” Lapis Blue is all the blue Diamine could muster, and it is a monster of a sheener. What stands out most in my stories of pursuit is a trip to Hong Kong for the stationery fair, back in 2008. 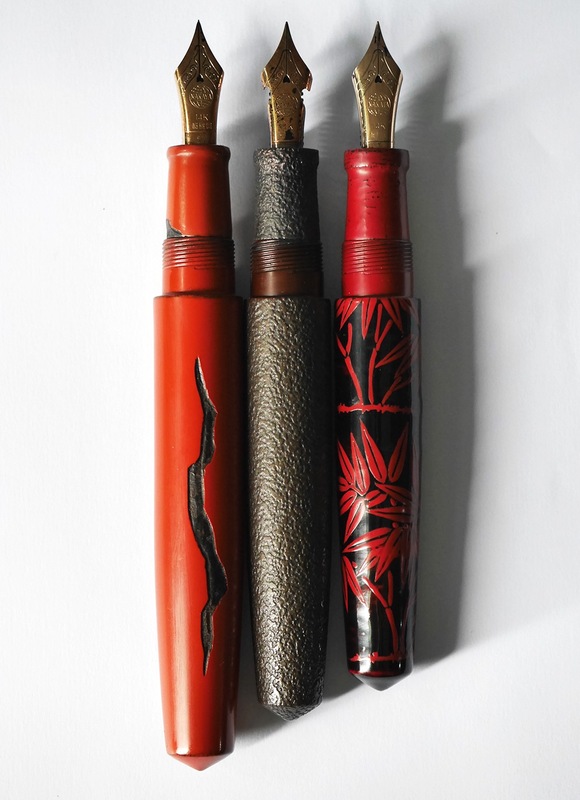 I had read that Platinum would bring Nakaya to the fair, so off I flew. 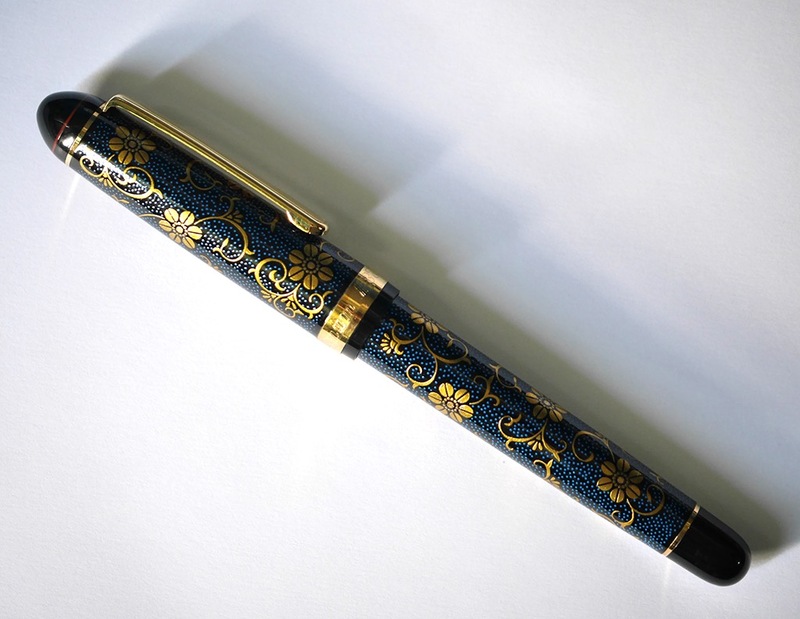 The pen I wanted wasn’t for sale as it was a prototype. I must have bugged Toshiya-san so much he agreed to sell it just to get rid of me. May the new year bring you your share of the rare. In many cases, those won’t be objects that make marks on other objects. They’ll be experiences, moments, serendipitous encounters. But a valued pen might come in handy for those.